Reviews site Yelp, with help from investment bankers, is shopping around for a buyer, according to the Wall Street Journal. The report, which Yelp would not comment on, sent the company’s shares 23% higher to end the session at $47.01. It was a welcome boost for a stock that has been under pressure lately, dipping last week to a two-year low amid concerns about slowing ad sales and slumping user growth. In the first quarter of 2015, the company reported an 8% rise in users, compared with an increase of 30% from the year-earlier period. Yelp also has been embroiled in lawsuits from shareholders over the authenticity of reviews and local businesses claiming extortion-like sales tactics. But the company does have its strengths, particularly on mobile. In the last quarter, 65% of searches on Yelp were on mobile, and views on mobile grew 47% year over year. 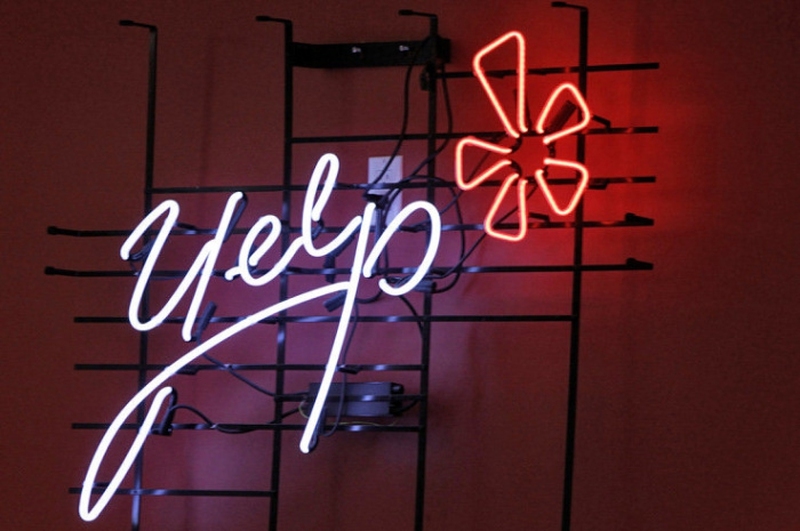 Analysts say there are three types of potential suitors who might be interested in acquiring Yelp. Analysts at Piper Jaffray believe Google, Facebook, or Apple might be interested in snapping up Yelp to strengthen their local ads. “They all would benefit from further traction in the local advertising space, have ample capital to consummate a sale, and would experience technology infrastructure synergies,” the firm wrote in a research note. Back in 2009, Google and Yelp were in talks of a possible acquisition for upwards of $500 million, but the deal ultimately fell apart. The two companies haven’t been on great terms since, with Yelp complaining of the search engine illegally scraping its content—one of the focal points of the ongoing antitrust case against Google in Europe. Aside from ads, Facebook might also see Yelp as a way to improve traction of features such as check-ins and tips. Last June, Priceline acquired OpenTable in a $2.6 billion deal. For Priceline, the move represented a foray into the restaurant services business, a smart alignment for its travel booking platform. One of Yelp’s most attractive assets is its loyal fan base: 142 million monthly unique visitors who have collectively written 77 million reviews of local businesses. Travel companies interested in the reviews site would likely want to capitalize on Yelp’s strong brand, Gartner analyst Brian Blau tells Quartz. And with Yelp bulking up in adjacent services—it acquired food-delivery service Eat24 in February and reservation service SeatMe in 2013—it’s especially attractive to potential buyers looking to enter the restaurant industry. It’s possible competing reviews sites, such as TripAdvisor, which has 315 million monthly unique visitors and a stock market value of $11 billion, might be interested in gobbling up Yelp. But one thing to consider is the overlap that might exist between their two audiences. Companies like TripAdvisor “are going to ask themselves, ‘What’s the crossover between Yelp’s customer base and mine? '” says Blau. Aside from TripAdvisor, there’s also Amazon. In November, the ecommerce giant launched its Yelp and Angie’s List competitor, Amazon Services. The marketplace helps customers find local professionals for housecleaning, repairs, lawn care, and more. Purchasing Yelp would help accelerate growth in that segment.